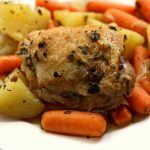 Slow Cooker Lemon Herbed Chicken and Red Potatoes–a one pot meal that has lots of flavor. 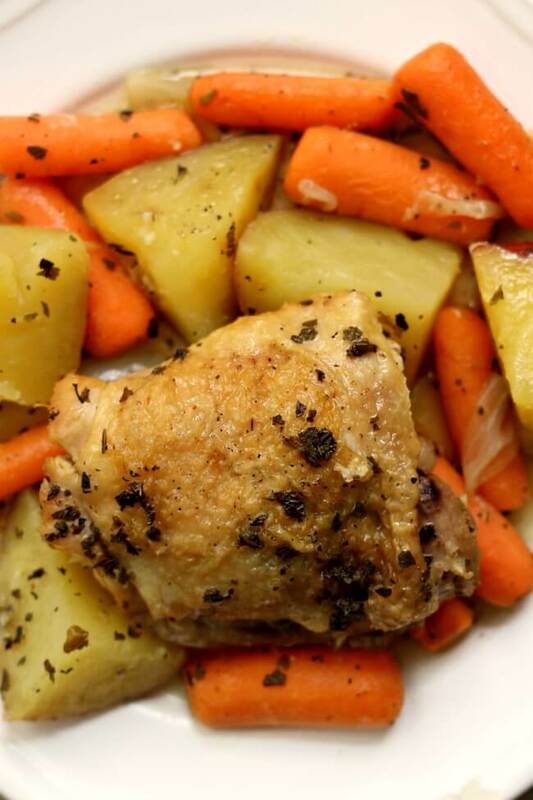 Chicken is slow cooked with red potatoes, baby carrots, seasonings and lemon juice. A simple but delightful meal! 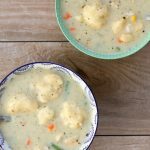 I love recipes like this one! A one pot meal that is full of flavor and everybody in the family eats it happily. My son said that these carrots were the best he’s ever had. I don’t know if he was just being dramatic or what but I’ll take the compliment. I started with fresh bone-in chicken thighs that I picked up from the store. I decided to use bone-in chicken for this recipe because it just has so much flavor. 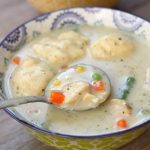 If you’d like to use boneless chicken you can do that too, it may not be as tender or flavorful though. I browned the chicken in the bottom of a skillet for 5 minutes on each side. This step added an extra depth of color and flavor and was definitely worth the extra 10 minutes. While the chicken was browning I cut up an onion into chunky slices and cut up red potatoes into chunks. I chose to use baby carrots and just throw them into the crockpot whole but you can also cut up regular carrots into chunks instead. After the chicken was browned I tossed everything plus seasonings and lemon juice into the slow cooker and turned it on low for 4 hours. Then I scooped out the potatoes, carrots and a piece of chicken onto a plate. It was truly delicious. I’m only sad that we don’t have leftovers. I’ll be making this Slow Cooker Lemon Herbed Chicken and Red Potatoes in the future for sure! To make Slow Cooker Lemon Herbed Chicken and Red Potatoes I went with my 3-quart casserole crock made by the Crock-Pot brand. 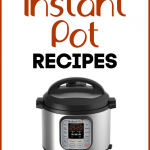 * I have loved this casserole shaped crockpot for recipes just like this. I love that the crock insert is completely oven and dishwasher safe. I love how if you want to brown the top of a casserole you can do that quickly in the oven after it cooks all day in the slow cooker. Or if you want to bake something in the oven and then put it into the crockpot and keep it warm on the counter, you can do that too. They cost around $40 and I think totally worth the investment! 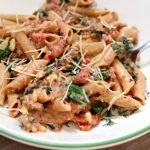 A one pot meal that has lots of flavor. 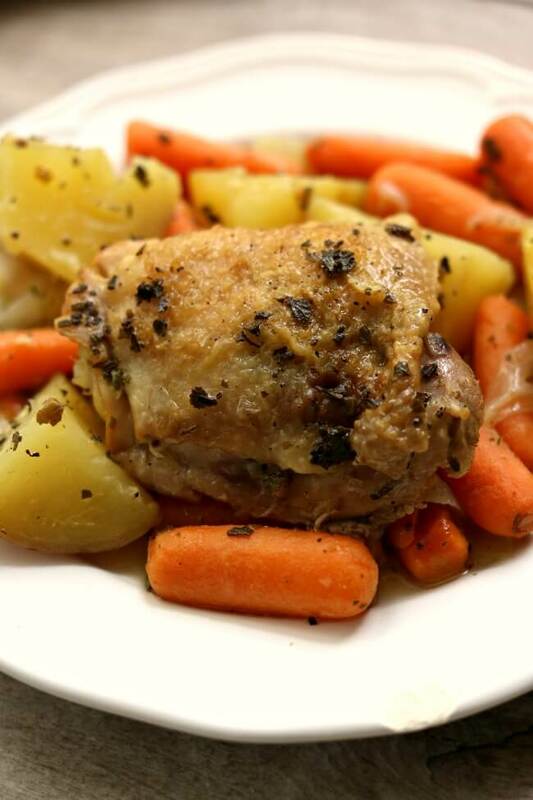 Chicken is slow cooked with red potatoes, baby carrots, seasonings and lemon juice. A simple but delightful meal! Turn your stove to medium high heat and heat a pan for a few minutes. While it’s heating up pat your chicken dry with some paper towels. Add in 1 Tbsp of olive oil. Place each piece of chicken into the bottom of the pan. Let the chicken sit there and brown for 5 minutes. Using tongs turn the chicken over and brown for 5 minutes on the other side. Carefully remove the chicken and place it on a plate. Add in the minced garlic and saute for 30 seconds. Add in the chicken broth and deglaze the pan. Add the chicken into the slow cooker and lightly salt and pepper it. Pour in the juices, garlic and browned bits from the pan. Add the onions, then the carrots and finally the potatoes. Sprinkle the kosher salt, black pepper, oregano and lemon pepper over the vegetables. Drizzle the other 1 Tbsp of olive oil over the top. Drizzle the lemon juice over the top. Cover and cook on low for 4-6 hours, or until chicken and vegetables are cooked. Scoop potatoes, carrots and chicken onto serving plates and enjoy. If you enjoy a crispy skin on your chicken you can stick the chicken under the broiler for a few minutes. 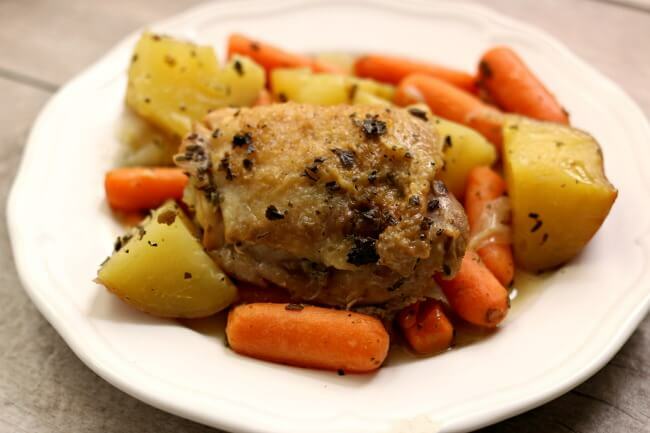 Like this recipe for Slow Cooker Lemon Herbed Chicken and Red Potatoes? Get all my new recipes delivered to your email inbox by signing up below. I don't understand why you say chicken breasts don't turn out good. 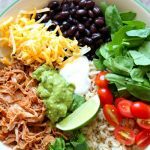 I've just stated using a slow cooker (love it!) and all the chicken recipes have used chicken breasts. Every time they have come out moist and tender. breasts ARE hard to get right because they're leaner but it IS do-able. 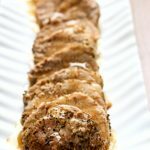 I just found a recipe the other day where I cook the breasts in a water spice mixture for 3 hours, add a creamy mix for the last hour and they were AWESOME moist. It's not one that you can put in the crock and walk away from for 8 hours but it really did help with the white meat chicken remaining moist. I tried the chicken thighs tonight and it turned out perfect. A lovely summer supper!